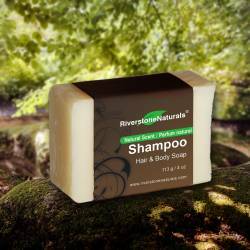 Riverstone Naturals Shampoo Bar is made with vegan, organic ingredients providing a conditioning hair shampoo and body wash - all in one bar! 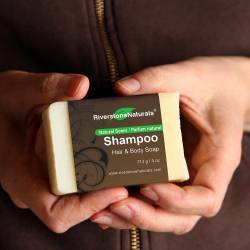 Great for normal and dry hair, Shampoo Bar replenishes natural oils to rejuvenate hair and skin. 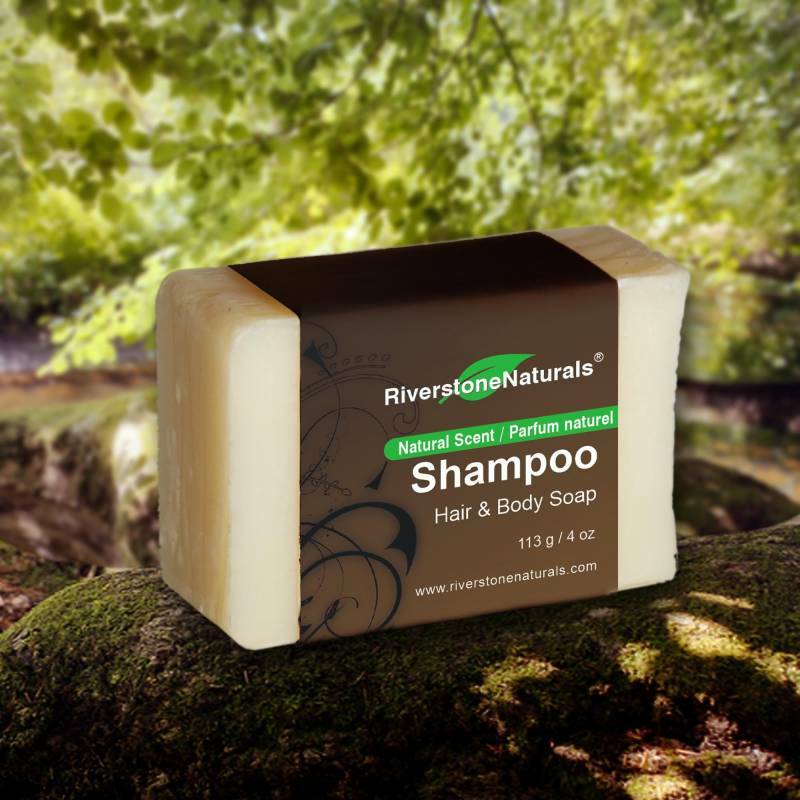 * As a shampoo: wet hair, lather in, massage gently. Rinse well. Condition as needed. 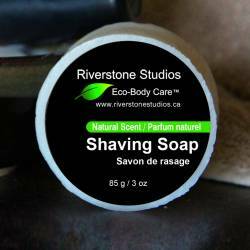 * As a soap: face and body wash as desired. Rinse well. * Keep out of eyes. 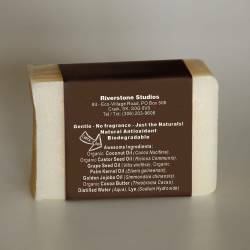 Lye (Sodium Hydroxide) - a water-soluble solid usually produced by processing salt water.